There is plenty of summertime fun to be had in Gilbert, even when the temperatures begin to hit the triple digits. Gilbert summer activities range from children’s camps to adult outings, outdoor screenings, festivals, and day camps. The Higley Pointe neighborhood comes to life with summer activities. Every Monday, Wednesday and Friday the McQueen Park Activity Center offers “Wiggle Worm Adventures” between 9 and 11 am. The cold inside play area offers tunnels, hoops, balls, and rides on toys to keep your kids occupied and out of the heat during those sweltering summer weeks. Appropriate for all ages, each month in the summer offers a different concert held in Freestone Park. The shows are free, open-air, and a great way to spend an evening outside enjoying the best part of the year in Gilbert. Twice a month Gilbert offers two opportunities for outdoor film screenings. Once with the Film in the Park series, and once with Dive in Movies. Held respectively at the Gilbert Community Center and the Mesquite Aquatic Center, these free events give families an opportunity to view movies under the stars, either on the grassy park or in a fun and unique bathing-suit clad venue. Held in early June at the Gilbert Community Pool, the Kiddie Carnival provides cool, affordable fun for all ages, 1 and up. There are festival games, prizes to be won, clowns, and cool-down entertainment at the community pool. Celebrate the Fourth of July with Gilbert Summer Activities cool at the pool side. 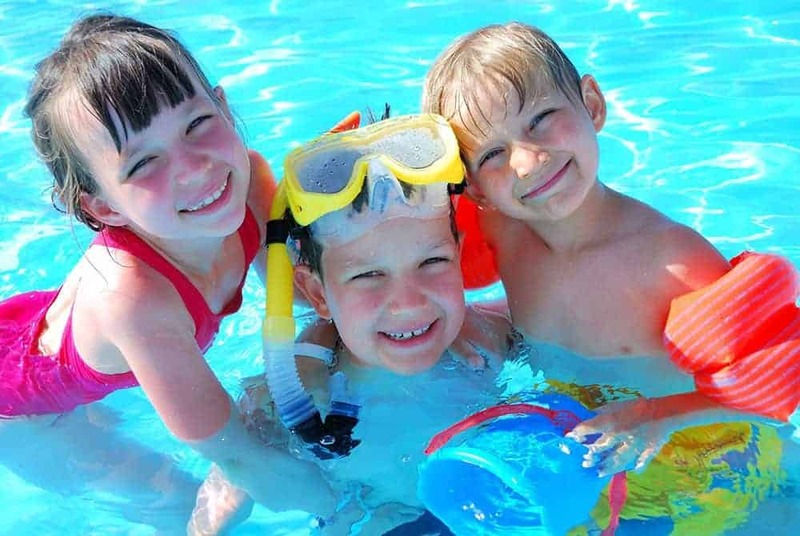 Early in the day, enjoy an old fashioned swim party at the Gilbert Community Pool with swimming, family fun and BBQ’ing. In the evening, stay for “Fire in the Sky,” the Gilbert fireworks show celebrating the birth of the nation. Local businesses provide celebratory hot dogs, pretzels, ice cream and nachos. Glo-necklaces are available for purchase as well before the firework show. Be sure to show up early for the watermelon eating contest with lots of great prizes and DJ entertainment, water slides, and sno-cones.